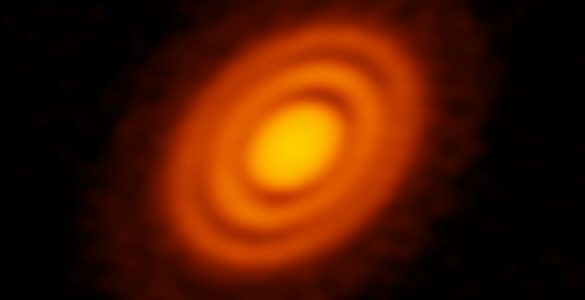 Recent ALMA observations have reshaped our understanding of protoplanetary disks, the planet-forming regions around young stars. A striking new high-resolution image of MWC 758 — a young star about 500 light-years from Earth — reveal a dusty disk unlike any seen before. With its off-center cavity and sweeping spiral arms, MWC 758 may also provide new insights into the process of planet formation. “Our observations reveal a great amount of exciting new details in this system and provide crucial clues on their origins,” said Roubing Dong, a researcher with the University of Arizona and the Academia Sinica Institute of Astronomy and Astrophysics (ASIAA) in Taiwan. 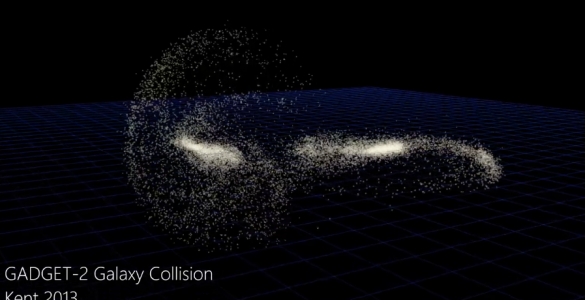 The origin of these structures is in hot debate among astronomers. 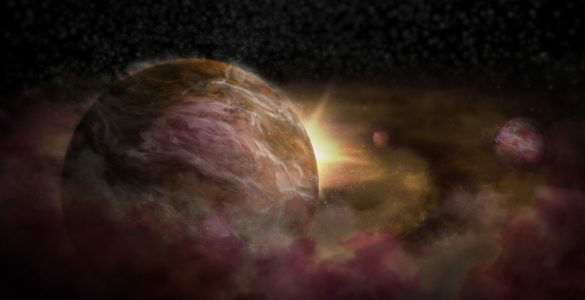 They may be the result of unseen planets forming in the disk or the large central cavities could be the outcome of radiation from the central star evaporating the inner disk. Past observations of MWC 758 in 2012, as seen in reflected light, revealed a pair of near symmetric giant spiral arms. Earlier millimeter observations uncovered a big inner hole and two major dust clumps. 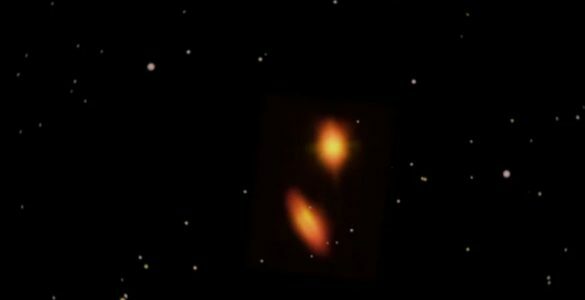 The new ALMA image reveals that the previously known cavity of MWC 758 is off-center from the star and elliptical in shape. The millimeter dust emission feature corresponds nicely with one of the two spiral arms previously seen in reflected light. Both discoveries are the first among protoplanetary disks. 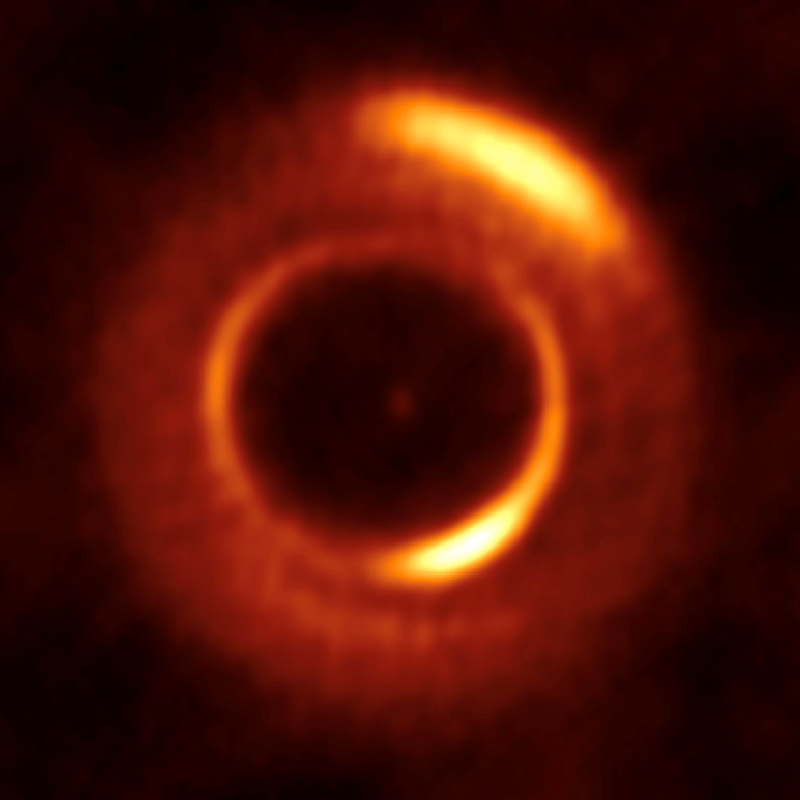 Photo Credit: ALMA (ESO/NAOJ/NRAO)/Dong et al. This research is presented in a paper “The Eccentric Cavity, Triple Rings, Two-Armed Spirals, and Double Clumps of the MWC 758 Disk” by Dong et al. to appear in the Astrophysical Journal.